I am so vain, and yes… I think the song is about me! Ok, not really, but sometimes vanity is important. It’s import because every web owner should be doing a vanity search on a regular basis. What is a vanity search you ask? Quite simply, it is looking for yourself on the web. Search for your company name and the names of the owner/leaders of your company. It’s like looking in the vanity mirror so you can see what others see. Try it now (I’ll wait). So, what did you see? Were you on the first page? Second? Third? Since more and more people now are doing mobile searches (from their smart phones) that is what I like to do. I still do a regular browser search, but I look into the phone mirror almost every day. When I enter “3Deers”, I am front and center on Google. Notice that there is a nice button for calling 3Deers, a map with directions and a link to our web site. Our Web site is also the next listing below the map and phone and we have several other pages linked below that, too. We are so wonderful at 3Deers to be ranked 1st… Ok, now we are just pretending to be vain so someone will write a song about us. In all seriousness we really are just doing the basics. 1. Have a well-structured web site with your company name as part of the url. Make sure your webmaster includes all the appropriate “meta tags” on your pages. 2. Routinely add new content with a blog or other valuable content (like this article). 3. Make sure you list your site on Google through their WebMaster Tools. Don’t make Google find you, tell them were you are! 4. List your site on Google Places. This one is huge for local searches and getting your phone link on the search page. Again, you are handing the information to Google. 5. Follow up on steps 1 to 4 on a regular basis and be vain about it! There are a ton of websites for listing your business and yourself… LinkedIN, Facebook, Yelp, Four Square, Google+, Instagram, Yahoo, Bing… the list goes on and on. But don’t make yourself crazy. Start with the basics and do one at a time. Talk to your webmaster and make sure they are doing this for you, even if there is a fee. There are services that do this as well, you just have to decide what works best for you and your budget. It’s ok to be vain… who knows, maybe someday someone will write a song about you! If not, at least you’ll get found on the web. 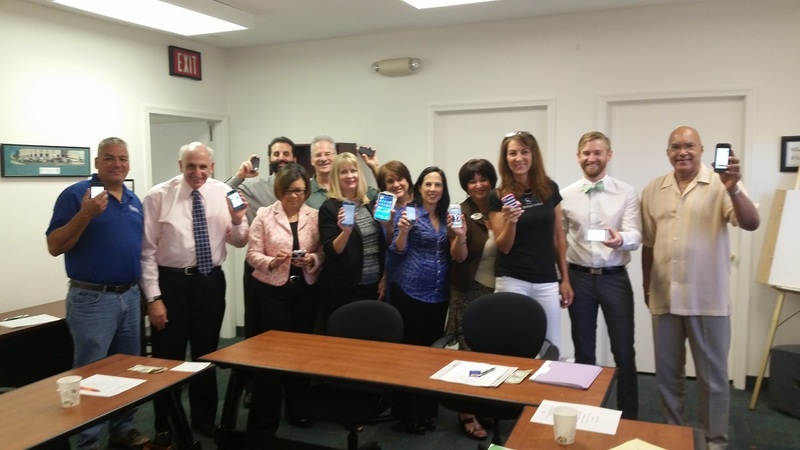 Test your site (and 3Deers) on your phone now… just like the Coral Springs Chamber of Commerce Wednesday Morning Referral Group! Check out the group doing their own google vanity search. The web is your brochure, your vision, your voice. I work with the leaders of your company to optimize your sales, operational efficiencies and internet presence. I am an expert in eCommerce marketing, development and distribution. I’ll manage your programing, business concepts and logistics from beginning to end. I look beyond just placing a presence on the web, but at how you can satisfy the complete client experience with your business. 3Deers.com … Time Well Represented.